Our goal is to understand the development and function of the visual cortex through computational modeling. The main idea is that the visual cortex is a continuously-adapting structure in a dynamic equilibrium with the external environment, and that lateral connections and synchronization of spiking activity are crucial to its behavior. 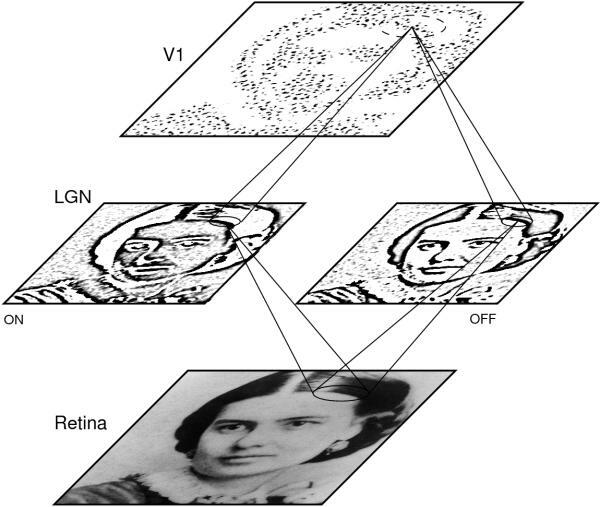 This idea is expressed in the LISSOM model of the visual cortex, which is then used to gain insight into psychological and biological phenomena such as development of visual areas, visual illusions and aftereffects, perceptual grouping, and face detection. Some of the predictions are motivated and validated with experimentalists through recording and neuroimaging.